If Jaco Pastorius meets Prince in the space beyond...the ensuing discussion might sound something like this. 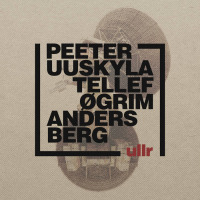 Ullr is a new trio with Peeter Uuskyla, Tellef Øgrim and Anders Berg. The self-titled album Ullr will be out on CD and digitally 15 January 2017. This piece is feverishly free and somewhat tonally friendly at the same time.